STOKE completed a quickfire double over local rivals Buxton as they took a 50-39 victory in the Travel Plus National League at Loomer Road on Sunday night. Both teams were reduced to five men with David Wallinger being ruled out for the Potters and Corban Pavitt being ruled out for the Hitmen after this afternoon’s clash at Hi-Edge Raceway. The Potters gained a further advantage in heat nine after the race was stopped when leader Joe Lawlor guesting for the Hitmen slowed due to a mechanical failure with the bike catching fire with Lawlor grabbing the fire extinguisher at the start line to put the fire out, referee Phil Griffin halting the race due to safety and awarding the race to Extance with Kieran Douglas second for a Potters 3-2. Buxton gained a 4-2 in heat twelve before Stoke struck with a 5-1 from Clegg and Rowe over Lawlor after Wilson had fallen to seal the points for the Potters. 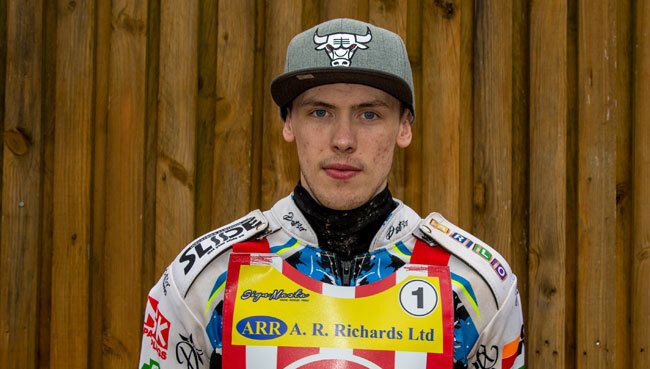 Potters skipper Max Clegg romped to his second 18-point maximum of the day and he received solid support from Paul Burnett guest Anders Rowe and Adam Extance while Alcock slowed as the evening went on in only his second meeting back after a shoulder injury.